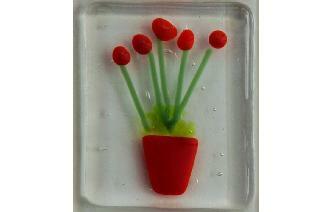 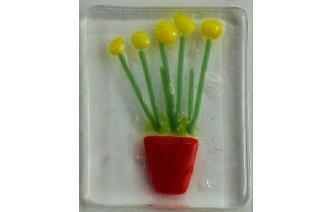 It is made by fusing different small flower panels onto one larger piece of glass. 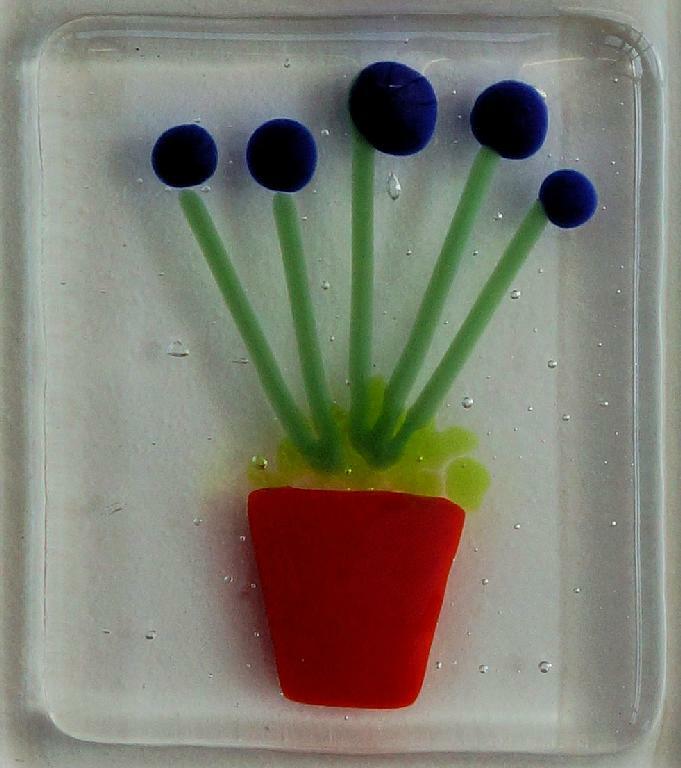 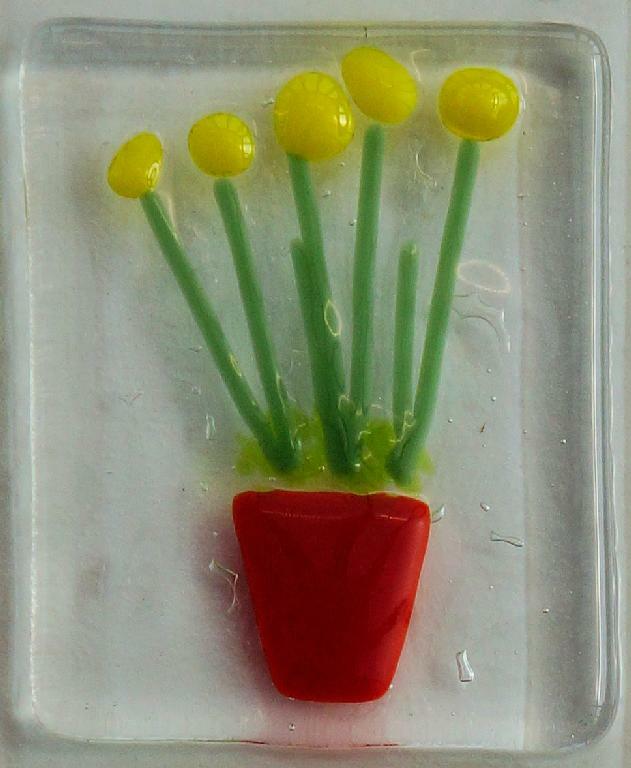 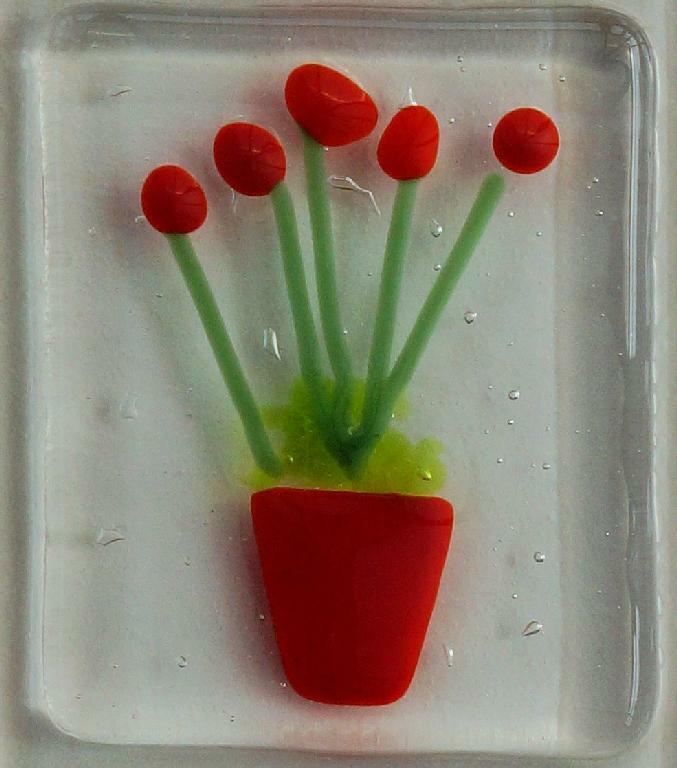 Each individual flower is made by fusing enamel, powdered glass and small pieces of coloured glass onto clear glass. 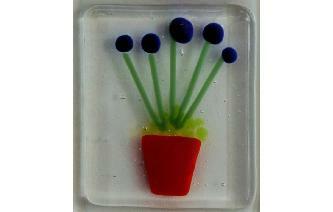 Each flower and each panel is unique. 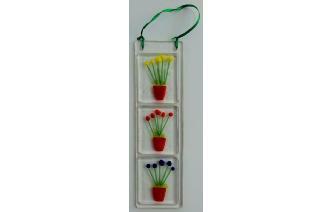 The panel measures approximately 20 cm tall by 6 cm across and is pre-drilled with small holes to allow hanging in a window or on a wall.